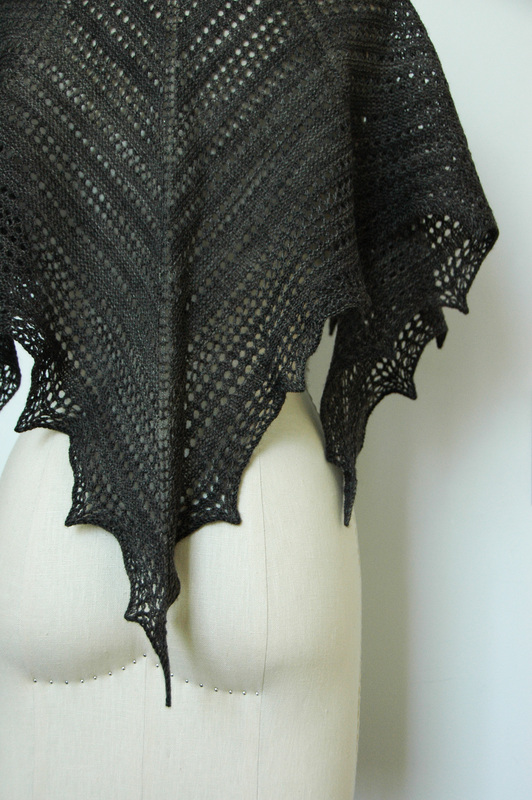 Inspired by the simple but elegant yet geometric shapes of a spider’s web, made up entirely of garter stitch and eyelet rows, this is an incredibly simple shawl to knit and would make a great ﬁrst true lace weight project. 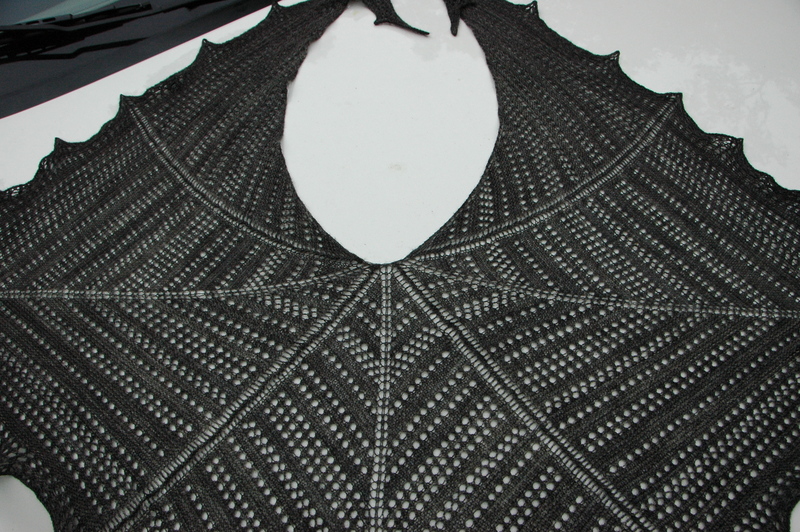 Knit in one piece from the top down, this shawl begins by casting on 11 stitches at the back of the neck and increasing 8 stitches every other row to shape this shawl into a square like shape. 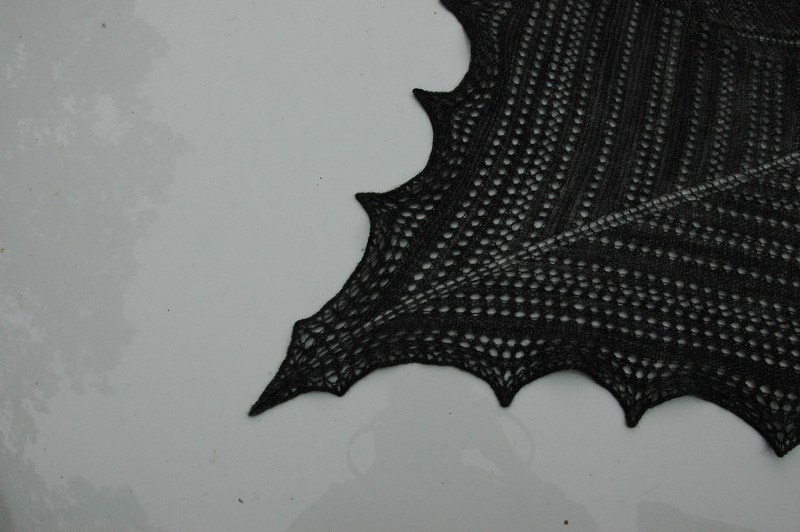 Finally, an eyelet-increase row is worked just before the bind off to ensure that a thorough blocking is possible.